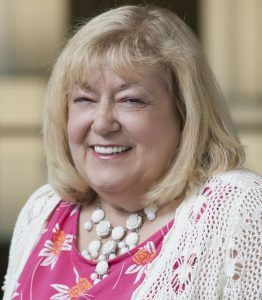 TUSCALOOSA, Ala. — Dr. Marietta Stanton is the recipient of the 2017-18 Burnum Distinguished Faculty Award, one of the highest honors bestowed on professors at The University of Alabama. Stanton will be recognized as the Burnum Distinguished Faculty Award recipient during a ceremony to be held April 9, at 4:30 p.m. in room 1012 of the Capstone College of Nursing. The ceremony is open to the public. A dedicated nurse, decorated veteran, nurse educator, researcher and administrator, Stanton is a professor in the Capstone College of Nursing. She has previously served as the College’s assistant dean for graduate programs. “During her time at the University, Dr. Stanton has become a quintessential example of a highly respected and productive faculty member who has been an active leader in educating graduate nurses,” said Dr. Alice March, dean of graduate studies in the Capstone College of Nursing. The Burnum Distinguished Faculty Award, established by Celeste Burnum and the late Dr. John F. Burnum, is given annually to recognize and promote excellence in research, scholarship and teaching. The award committee, composed of former winners of the Burnum Award, screens nominees and forwards its two top nominees to the UA president, who, in turn, selects the annual winner. Described as an educator who empowers students to soar to new heights, Stanton has made a powerful impact on nursing and nursing education at the state, national and international levels. Stanton spent the early years of her nursing career in service of the country. Commissioned as a captain in the U.S. Army in 1977, she served at several military hospitals, including the Walter Reed National Military Medical Center. She has received a number of military honors, including the Legion of Merit. As part of the Capstone College of Nursing, Stanton was instrumental in the implementation of the school’s graduate programs. She played a primary role in both the Joint Doctor of Nursing Practice program, with UAH and UAB, and the Doctor of Education program, in collaboration with UA’s College of Education. Stanton’s practice and research address three primary areas: case management, nurse veterans, and nursing practice and education. Her expertise in these areas is demonstrated through her extensive body of scientific publications. She has more than 40 years of experience conducting large scale, collaborative training and research projects in civilian and military health care systems. Stanton’s most recent research has focused on post-traumatic stress, depression and other psychological disorders. She is recognized for developing a case management model to provide support for returning reservist soldiers, which has been implemented nationwide.